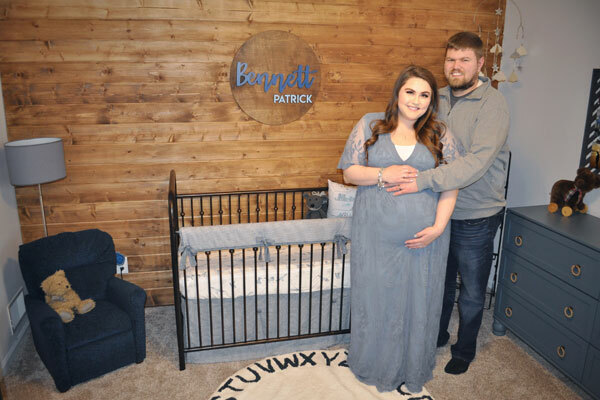 We want to thank the Morrissey's for the images of the adorable rustic nursery they created for baby Bennett! 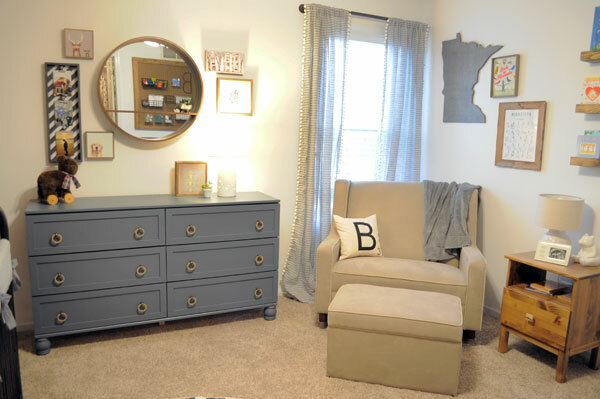 You are going to fall in love with this charming baby boy nursery! When we saw these photos, we immediately fell in love with this rustic baby boy nursery! This sweet nursery features our popular Washed Linen in Ecru Stripe Bedding Collection, which works for a baby boy or neutral nursery. This linen crib collection features a crib rail cover, sheet and pleated crib skirt. 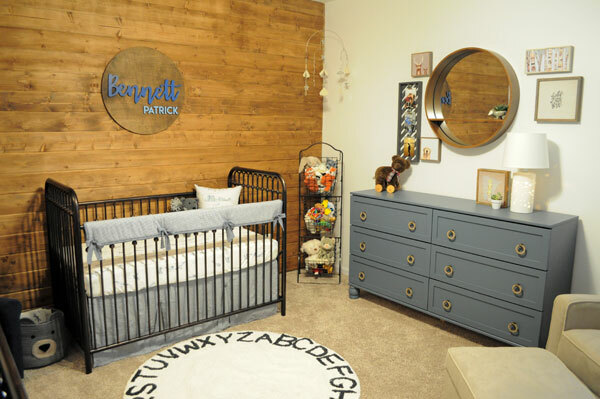 Kayla's very talented husband installed the wood accent wall, built the pegboard and shelves, and installed the closet system for Bennett's baby room! Wow, we are impressed! 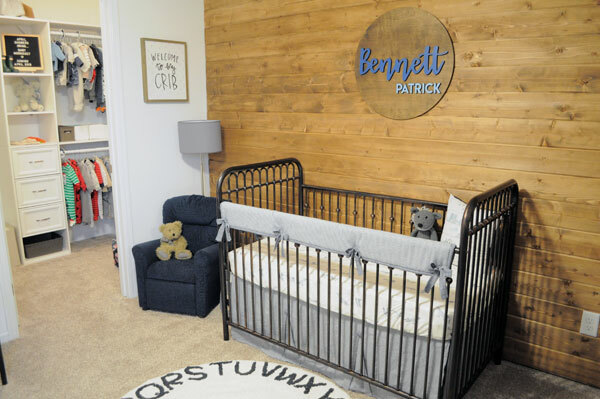 All of the rustic nursery decor gives the room a warm and cozy feel! The blue and tan color scheme works well with the nursery's rustic theme. 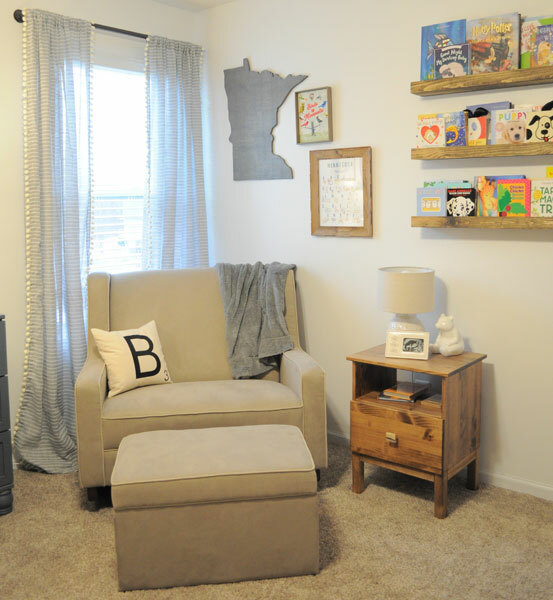 There are lots of accents that add a personal touch to the room including the name plaque above the crib, the "B" pillow, the Minnesota state wall plaque and letter "B" on the hand made peg board. The tan rocker looks comfy for feedings and cuddling! The rustic floating wall shelves are perfect for holding favorite books and easily accessible during reading time. 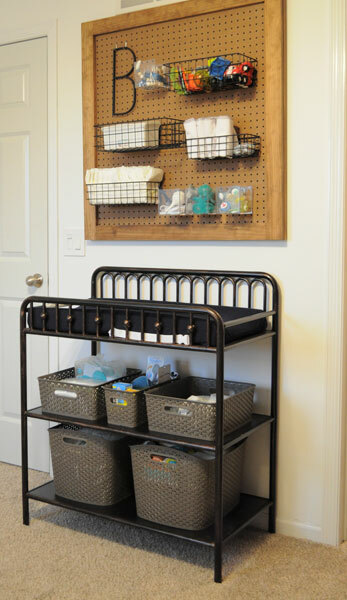 The pegboard above the changing table is ingenious, and organizes diapers and more! 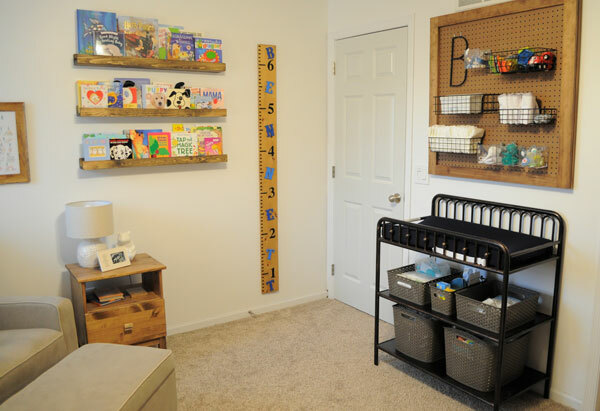 A BIG thank you to Kayla for sharing Bennett's nursery with us! We are smitten! Do you have a New Arrivals nursery to share? If so, we'd love to see it! Email info and images to [email protected].